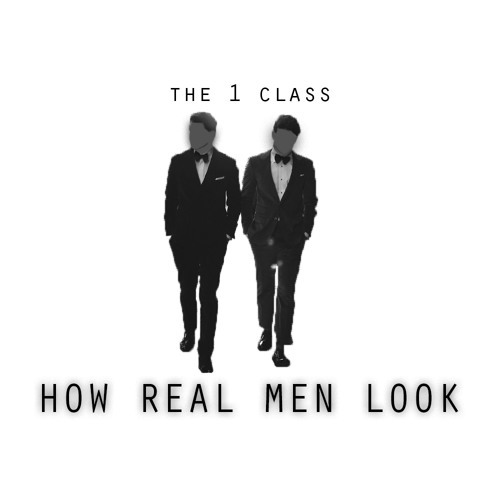 The 1 Class’ shimmering single “How Real Men Look” is a provocative critique of superficiality, social conformity and ideological pressure in “modern” times. The 1 Class certainly know how to spark a conversation: With explosive synths and pulsing rhythm, the band’s shimmering new single “How Real Men Look,” is a provocative critique of superficiality, social conformity and ideological pressure in “modern” times. Atwood Magazine is proud to be premiering “How Real Men Look,” the latest single from Chicago-based independent duo The 1 Class. The follow-up to the duo’s 2017 “Feel It” finds percussionist Jacob Dollaske and vocalist/guitarist Chris Holben exploring new avenues of emotion and imagery. “Feel It,” premiered by Atwood Magazine in November 2017, offered an “anthemic cry for deeper connection” through an ambient bed of reverb-swathed guitars. The 1 Class maintain their evocative sound with ethereal, delay-driven guitars in their new release, but the topic of conversation is perhaps the more important element in “How Real Men Look.” Observing upsetting trends through the lens of society-set gender roles, the single challenges rigid mindsets, lamenting restrictive divisions and oppressive ideas that prevent individuals from living their personal freedoms. this generation don’t know how real men look. cant you see through our society? In spite of this fix, The 1 Class do persevere. “How Real Men Look” envelops us in the band’s charismatic, uplifting aura, instilling a mellow urgency in listeners to take action – if only in their minds. Don’t miss this single, and stay tuned for more from one of Chicago’s up-and-coming acts.